Julian Casablancas’ The Voidz have shared the video for “Pyramid of Bones” which is off their new album Virtue which is out Friday (3/30). Directed by Nicholaus Goossen, it’s vaguely pirate-themed, part of it’s animated and is generally (typically) weird. Watch that below. 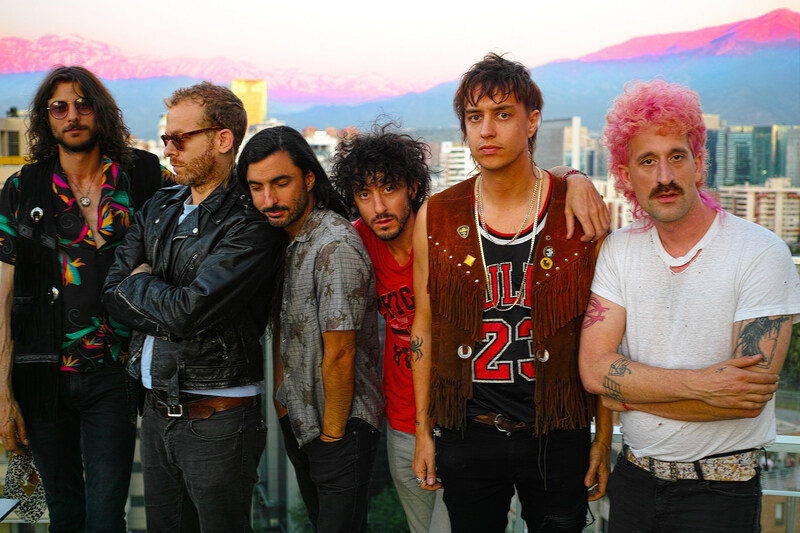 The Voidz also stopped by The Late Late Show with James Corden to play “Qyurrys” off the new album, and Julian also chatted with James in the “Stage 56 Heineken bar” about being a rock-n-roll dad and what’s next for the band. Watch both of those below as well. Meanwhile, The Voidz began their LA release show residency at Hollywood Forever Cemetery on Wednesday (3/28) with openers Ho99o9, and the three-show run continues tonight (with POW!) and Friday (with Starcrawler). You can check out Wednesday’s setlist and a few instagram pics and videos below. The Voidz’s four-show NYC residency is coming up in June at Elsewhere Hall and while the first show (6/6) with Promisedland and Surfbort is sold out, you can still get tickets to 6/13 with Public Access TV, and the 6/20 and 6/27 shows (openers TBA). Meanwhile, Julian’s Strokes bandmate Albert Hammond, Jr just released a solo record and celebrated with an NYC show at Brooklyn Steel last night.